Forearm crutches. These crutches have bands that encircle the upper arms and handles for the patient to hold and rest his/her hands to support the body weight. 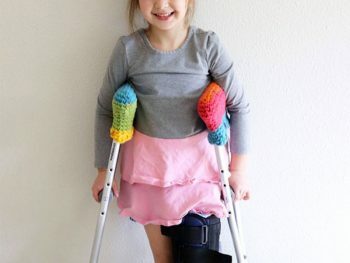 The cuff has a quick release making it easy to take off the crutches. The heights can also be adjusted. Strutters. 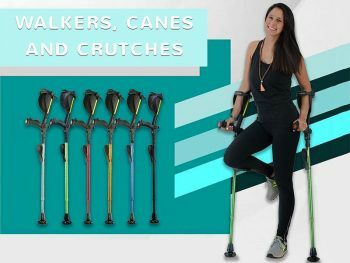 These are something like underarm crutches except they have large soles that remain flat on the floor when the user walks. These crutches allow a person to walk better because they help distribute the body weight more evenly. 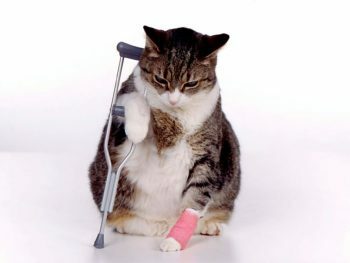 Doctors often recommend these crutches because there is less chance of nerve damage caused by underarm crutches. 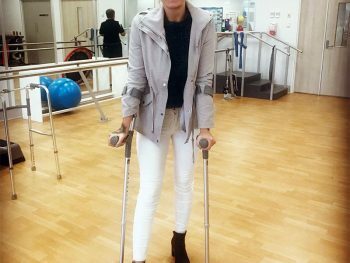 Platform Crutches. 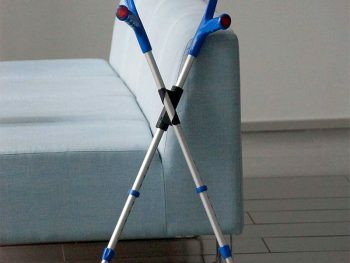 Most patients with arthritis and cerebral palsy use this kind of crutches. One arm is strapped into place on a platform. 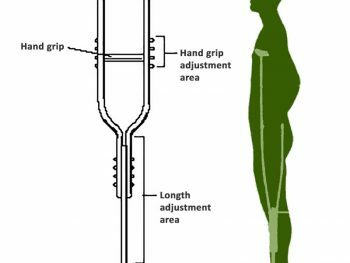 There is a grip for the hand that the user can angle in various directions. Knee Support. 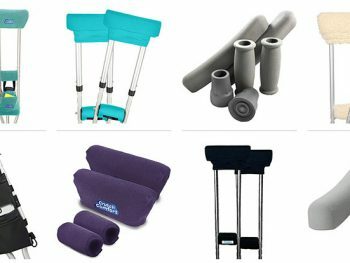 These are used for people with injuries or damage to the leg below the knee. 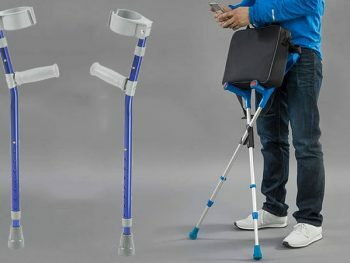 The injured leg points backward, but the user has his/her hands-free to carry objects, and both thighs carry the weight of the body. 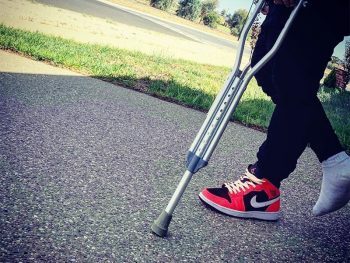 Crutches can be made of various materials, such as wood, metal, steel, titanium and carbon fiber. 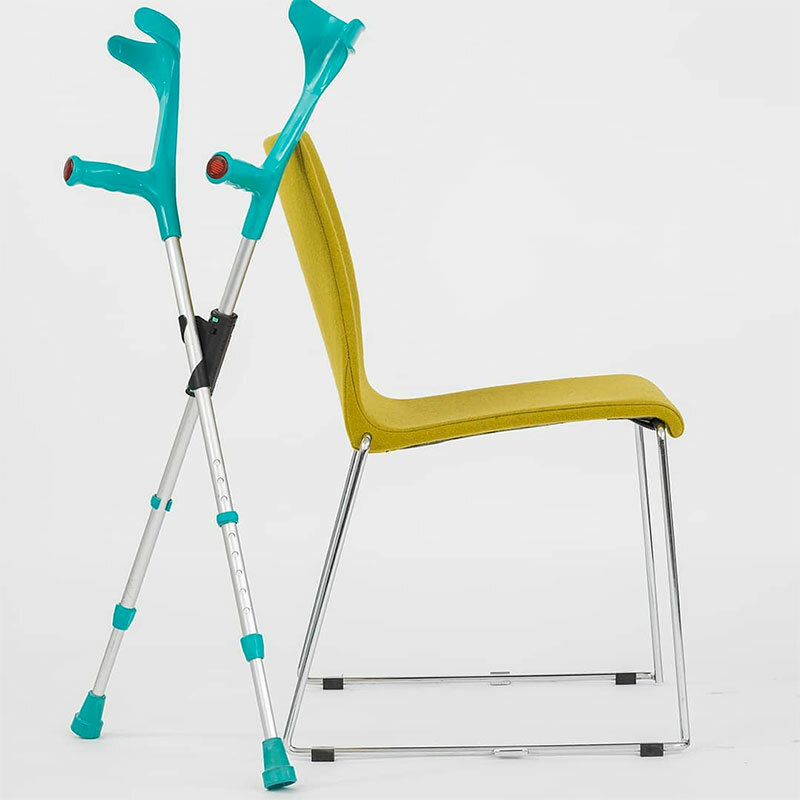 Walking frames (also often referred to as zimmer frames) are a type of mobility product that can help people walk unaided. 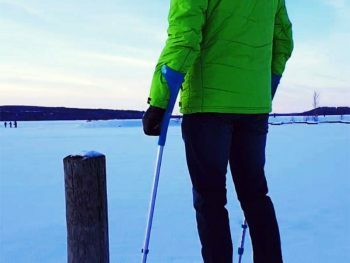 They are most often used by people with a disability, people recovering from an accident to their legs or by older people who are finding it difficult to walk around on their own as they get older. The point of a walking frame is that it will give you support to help you walk without help or without the need for a wheelchair. 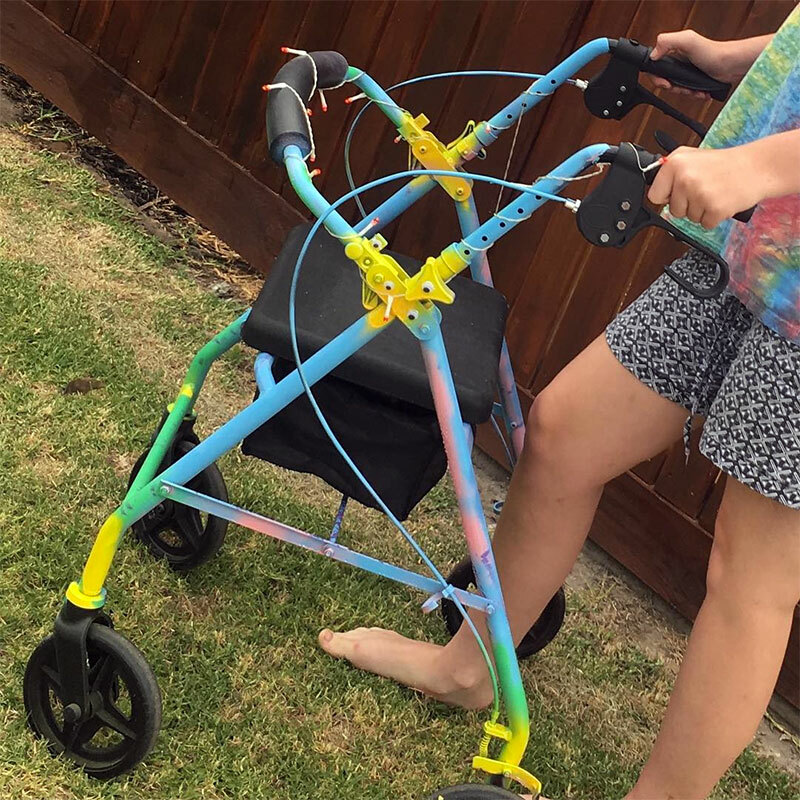 Some walking frames are simply metal frames that help you balance and move along. Some models, however, can come with wheels to make them easier to push and some will have trays on them so that you can carry your things on the frame as you go along. Newer types of models here may also come with three legs instead of the traditional four, and each of these three legs may also have a wheel on end. 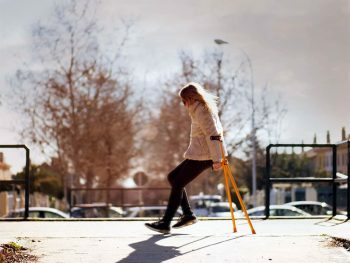 The decision of which walking frame to use will really depend on your physical needs. Some people, for example, will only use a frame infrequently so will buy a folding lightweight frame that can be used for short walks. Others, however, may need more support so may opt for a more traditional sturdy frame that they only use in the house. 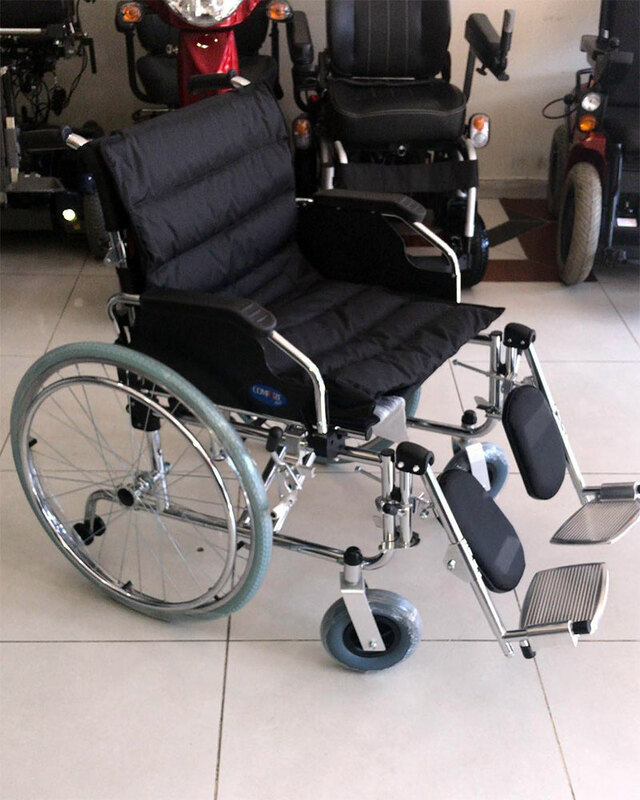 There are various types, makes, and models of wheelchairs to choose from if you need this kind of mobility product. In basic terms, wheelchairs are simply appliances in which a person can sit if they cannot walk (either at all or for long distances) so that they can get around. Wheelchairs can be purchased for all age ranges. Some people will need a specially adapted wheelchair to meet a specific disability or need. So, for example, a disabled child may, for a while, use a wheelchair that looks kind of like a buggy. Others will simply use a general wheelchair because it helps keep them mobile. Some wheel chairs are designed for other special purposes – so, for example, a member of a disabled basketball team will usually have a specially designed sports wheel chair in which he or she will play games. The type of wheel chair that you buy will depend on your physical needs and your needs when out and about. Some people, for example, prefer to use lighter models that fold up smaller than traditional wheelchairs to make it easier to store them in cars and on public transport. You can also, if you prefer, buy electric wheel chairs rather than models that you have to be pushed in or propel yourself. 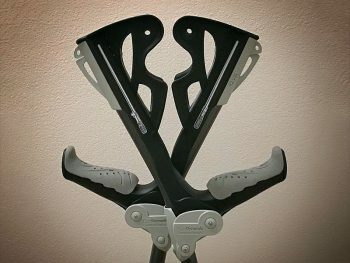 Why use mobility carbon crutches over wood or metal?